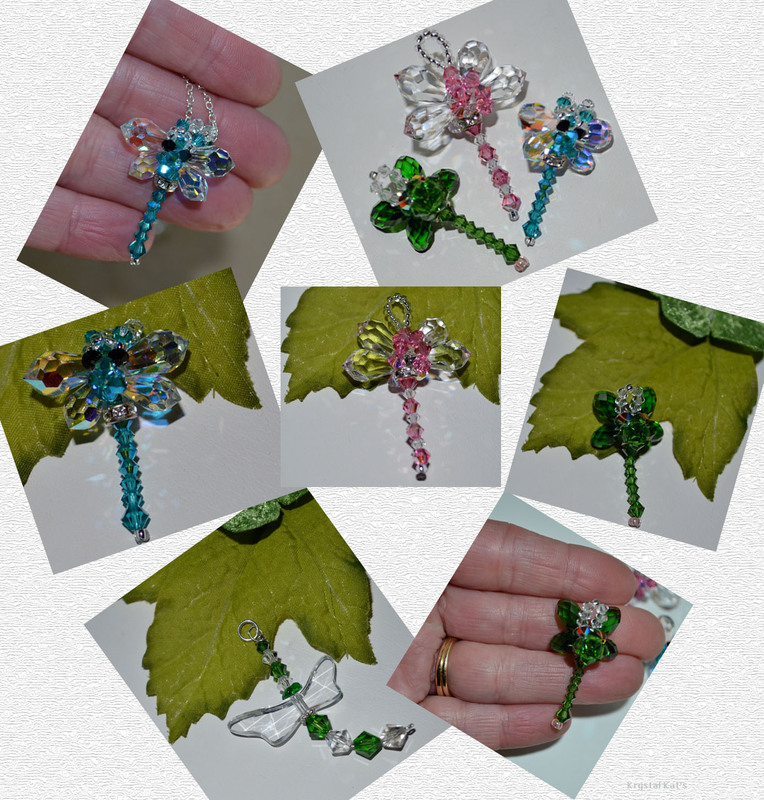 I had made some dragonflies some time back but did not have them for sale, they will make wonderful pendants. I have some sterling silver rolo chaing for the right angle weave dragonflies, but for the crystal winged one I am going to use sterling silver snake chain, I need some hook crimps to finish one end, I have the end crimp. When I can locate that finding I will put them up for sale at my Etsy Shop and Krystal Kat's.